View Poll Results: What do you think of the 1 star rating? I know from experience that the Euro standards are very demanding when it comes to vehicle/pedestrian accidents. I’ve tested radio antennas at work to provide data as to where and how the antennas break off in order to determine if they pose a danger of impalement to a pedestrian in a collision. Based on that, I wouldn’t put too much stock in their rating of the new JL when it comes to being an unsafe vehicle to own and drive. 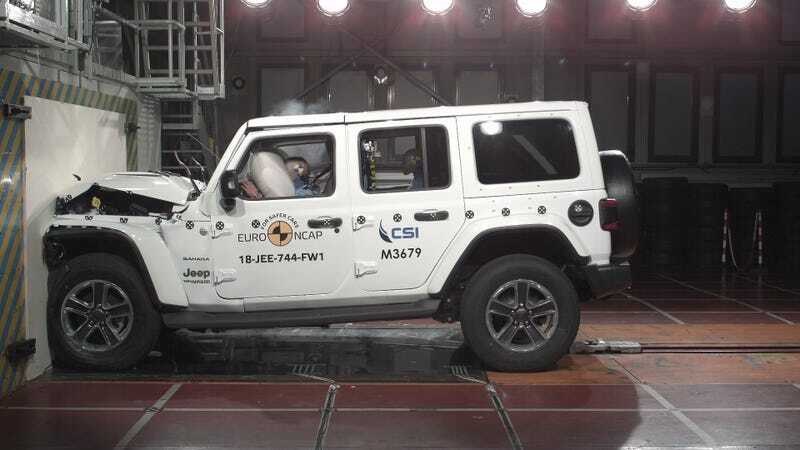 The fact that it doesn’t come standard with all the “safety nanny” features popular today is probably something Jeep people in our crowd are not too concerned about either. Trail spotters get out of the way!